The ancient Vedic knowledge is the very core of the modern day traditional Hindu India that defines the various appearances of art form in this land. The southern part of the peninsular India is one of the holiest regions of the land for there is abundance of Hindu temples and establishments. Budding out from these parts is the rich culture of classical heritage drawn directly from the Vedic literature. The dance forms from these parts of the Indian sub continent are all devotional prayers to the supreme gods of Hindu myths. Kerala has the ancient dance form of Kathakali to boast of but it also houses another one of the ten major classical Indian dance forms, the Mohiniyattam. The naming of the dance is very much literary. Mohini is the name of the seductress female avatar f Lord Vishnu and Attam means dance. As the name suggests Mohiniyattam means the enchanting dance of the seductress Mohini. The legend has it that to deprive the evil from drinking the elixir of immortality, Lord Vishnu, incarnated in the Mohini avatar. Lady Mohini by her feminine charms tricked the Asuras and gave the elixir to the Devas, thus good reined over evil. The dance is a solo performance mainly presented by women. The motion and posturing along with the ornamentation describe the feminine enchanting charms of a beautiful woman. 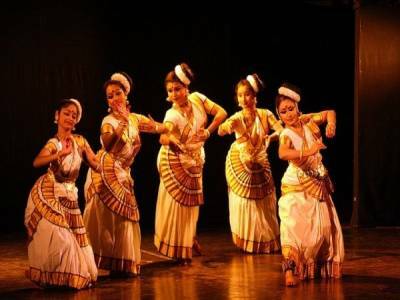 The mentioning of the dance Mohiniyattam is found in its core form in the ancient Sanskrit scriptures of Natya Shashtra written by a certain saint named Bharat Muni. 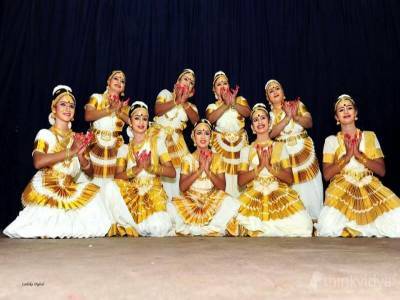 The completed and modernized form of Mohiniyattam is most recently mentioned in the 16th century CE scripture called Vyavaharamala. 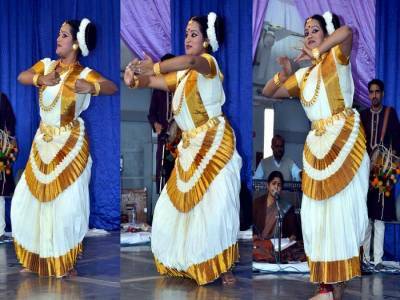 The Mohiniyattam dance form is one of the main classical dances of Kerala is often compared to the Bharatnatyam dance of the neighbouring state of Tamil Nadu. 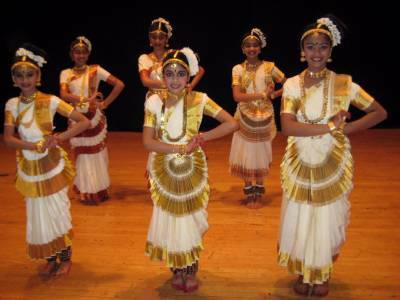 Get quick answers from travelers who visit to Mohiniyattam Classical Dance.